Every day, we send almost 6 billion emoji from our smartphones, but what kinds of patterns can you find when you look at all this data together? How do different cultures and nationalities use emoji differently? Are there hidden linguistic patterns in our quickly-dashed-off emoji utterances? Do emoji represent a fundamental shift away from old-fashioned word-based language or a return to a more flexible, pre-modern style of textual communication? 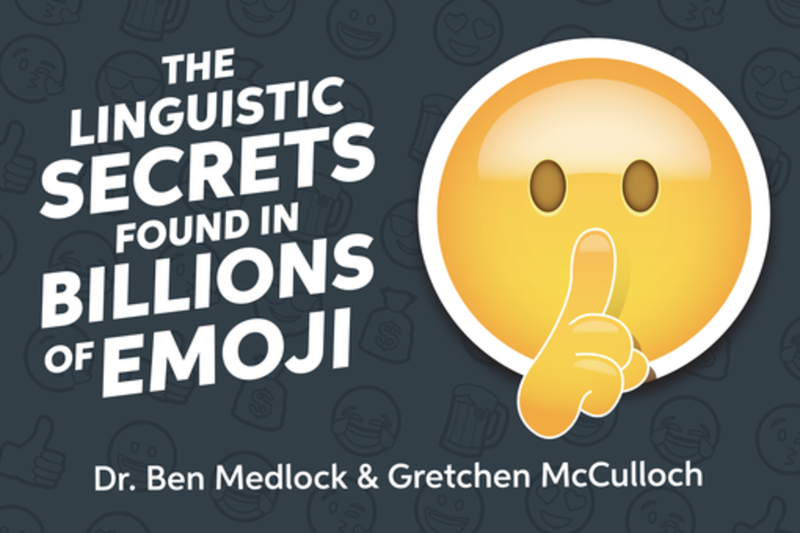 We've got billions of data points from people's real emoji use - join us as we share these never-before-seen insights. As co-founder and CTO of SwiftKey, Ben Medlock invented the intelligent keyboard for smartphones and tablets that has transformed typing on touchscreens. The company’s mission is to enhance the interaction between people and technology. SwiftKey is best known for its smart typing technology which learns from each user to accurately autocorrect and predict their most-likely next word, and features on more than 250 million devices to date. SwiftKey Keyboard for Android is used by millions around the world and recently went free on Google Play after two years as the global best-selling paid app. SwiftKey Keyboard for iPhone and iPad launched in September 2014, following the success of iOS note-taking app SwiftKey Note. SwiftKey has been named the No 1 hottest startup in London by Wired magazine, ranked top 5 in Fast Company’s list of the most innovative productivity companies in the world and has won a clutch of awards for its innovative products and workplace. Ben has a First Class degree in Computer Science from Durham University and a PhD in Natural Language and Information Processing from the University of Cambridge. I write about linguistics for a general audience, especially about language on the internet. Notable internet linguistics topics I’ve covered include: the grammar of doge at The Toast, whether emoji are language, when you can and can’t even, the srs bsns of disemvowellment, the “because x” construction, the constraints on synonyms for Benedict Cumberbatch, minimalist capitalization and punctuation on the internet, linguistics on tumblr, that feeling when you use a subordinate clause, vintage internet slang, ship names, and my entire series on internet language for Mental Floss.